Every month in Alaska is great, but many Alaskans think August is one of the nicest times of the year. Some of us get particularly excited about the Alaska State Fair, held just outside Palmer, an FDR New Deal colony town located about 43 miles north of Anchorage. Celebrating it’s 76th anniversary this year, the Fair will be held from August 23 to September 3rd. The founders of the fair envisioned a focus on agriculture, produce, flowers and food and that tradition still continues today. New traditions have also been added. For example, in addition to the parade of huge vegetables (featuring 100+ pound cabbages), and a possible Sarah Palin spotting, the music line-up sponsored by ATT each year is pretty impressive. 127 pounds. 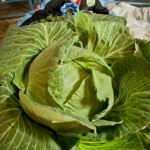 Now that’s a cabbage! The fair isn’t the only fun thing happening in August. Other activities include the Alyeska Blueberry Festival, the Girdwood Fungus Fair, Saturday markets and much more. There’s also some totally cool exhibits at the Anchorage Museum, and those, ladies and gentlemen, will be the focus of next weeks blog. 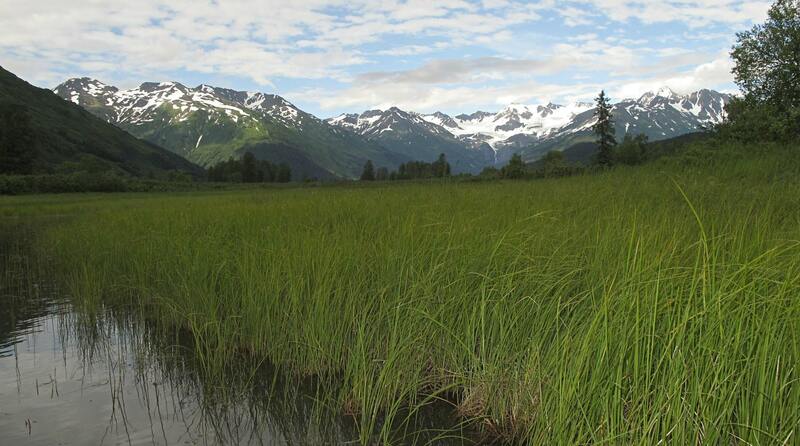 For the current list of events happening in Anchorage, head to Visit Anchorage! For events elsewhere in the state, check out Travel Alaska. This entry was posted in Alaska Events, Anchorage Events, Attractions, Summer and tagged Alaska Events, Anchorage Events, Attractions, Summer by admin. Bookmark the permalink.